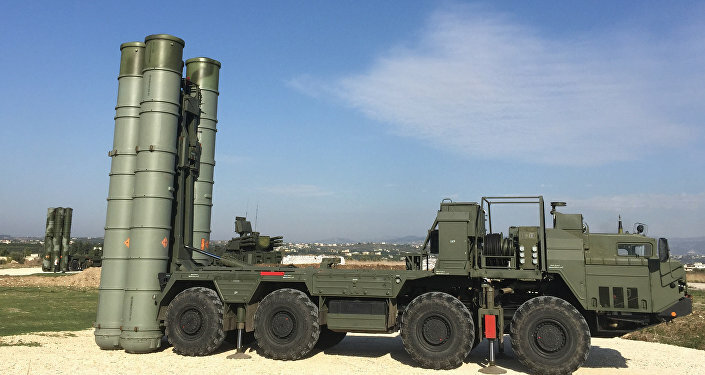 Washington's latest proposal comes amid threats by US lawmakers to introduce sanctions against Russia if it sells its S-400 Triumf mobile surface-to-air missile systems to other countries. US State Department acting assistant secretary of state for political-military affairs Tina Kaidanow is expected to travel to Turkey next week to offer Ankara the US Patriot surface-to-air missile system, Turkey's Sabah newspaper has reported. Kaidanow is expected to arrive in Ankara on March 31. A high-level US source told the newspaper that Washington envisions its Patriot offer as an alternative to the Russian S-400. According to the source, the Trump administration has high hopes over Kaidanow visit, with Washington seeing arms sales as a component of its foreign policy. Russia and Turkey reached a $2.5 billion agreement on the sale of S-400s in 2017, with the first batch expected to be shipped in late 2019. Turkish Foreign Minister Mevlut Cavusoglu explained the purchase earlier this month, saying that Turkey has an urgent need for new air defense systems because its existing defenses are hopelessly obsolete. Washington has launched an increasingly forceful campaign to try to pressure its Turkish ally over the decision to buy the Russian system, warning that Ankara may face 'consequences' if deliveries go ahead. The Turkish government warned that it would respond to any possible US sanctions over the decision. Last week, a group of US Senators sent a letter to the State Department urging it to introduce new punitive measures against Russia if it sold S-400s to other countries, as stipulated in the Countering America's Adversaries Through Sanctions Act (CAATSA). NATO officials have claimed that the S-400 system is not compatible with the alliance's existing air defenses. Ankara, however, has countered this suggesting by pointing to Greece's complement of S-300s, which Athens bought in 1999.